Series 20. Powerboats up to 39 feet (12 meters). Rigid polycarbonate construction housing. Sidelight visibility is 1 nautical mile. 12V, 5 watt bulb included. 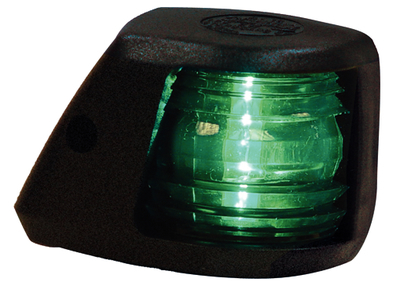 Side mount, starboard side, green lens color, black housing.